Here are some favorite images. Click on the thumbnail to see the full picture. A highly stylized door knocker. 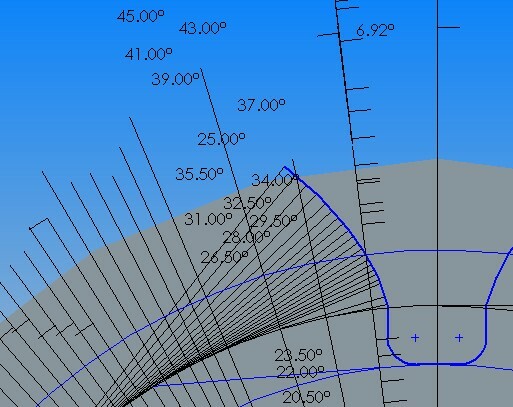 The braiding of the circular bodies was accomplished with the new "Twist Along Path" sweep option in SolidWorks 2005. The original Lens Mover design. 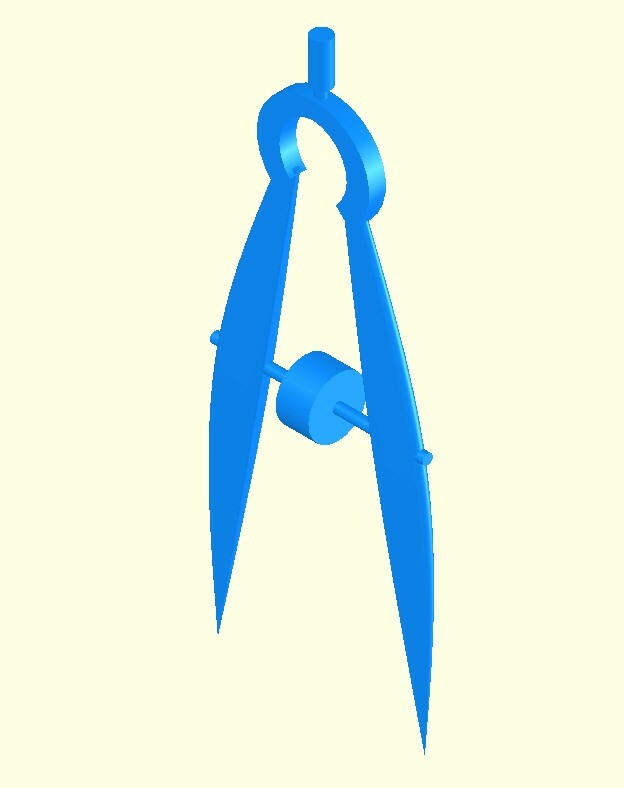 Scaled and specified to provide less than 100 nm resolution when placing a fiber/lens combination relative to an emitter or detector. A colorful gear pair. 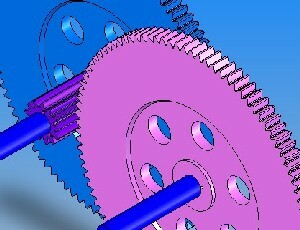 Part of a study into involute gear teeth. 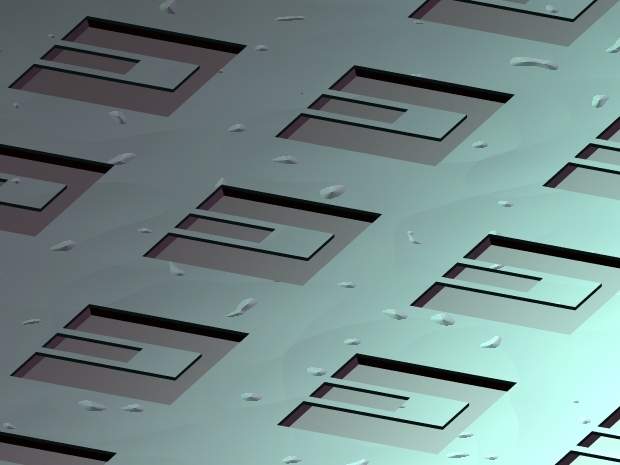 A pseudo-realistic image of a MEMS diving board structure, completely conjured up with PhotoWorks™. PhotoWorks allows photo-realistic rendering of solid models. 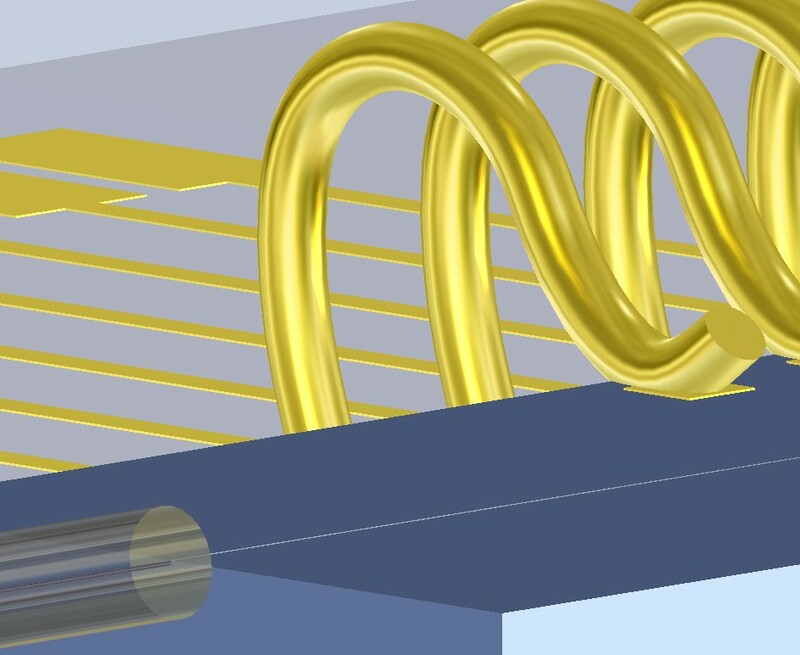 A micro-optic package design with thermal control. An air scoop. 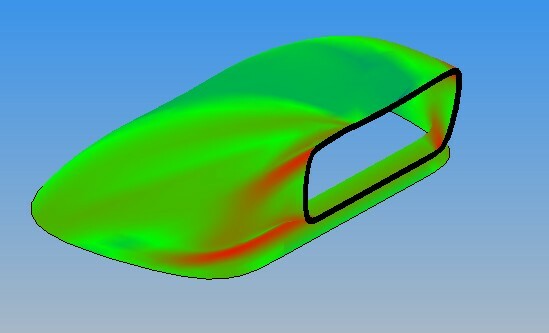 This is a sweep from one footprint to a completely different footprint, along a defined curve. 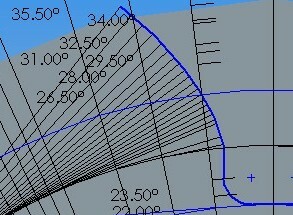 The geometry of the 25º pressure angle involute tooth form.